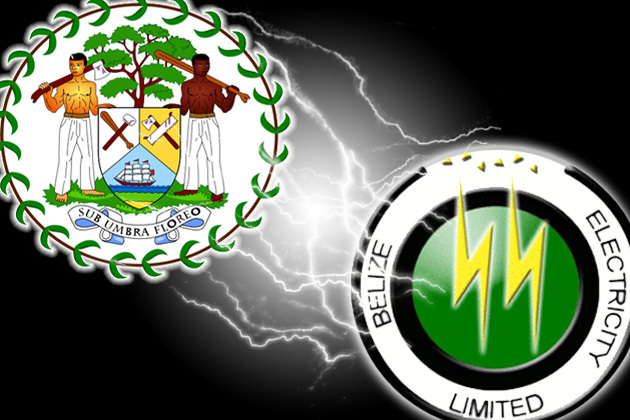 Government has acquired The Belize Electricity Limited. The law was signed by the Governor General this on Monday, June 20, and the order of acquisition was signed by the Utilities Minister and the Prime Minister. The new interim CEO and a new Board of Directors took over the company on Tuesday, June 21, 2011. The Government convened a special sitting - with only three items on the agenda - the second reading of a number of anti crime measures. But - as expected - a supplementary agenda was introduced just before the meeting with one main item added: The Bill for an Act to amend the Electricity Act. It's been in the making for some weeks, after it became clear that BEL was insolvent and in 27 million dollars debt to its suppliers: 10 million owed to CFE, 12 million to BECOL, and 5.1 million to BELCOGEN. With that debt - and BEL saying that it is unable to pay, government concluded that there is an imminent danger of the disruption of electricity supply to the public - so it moved in for nationalization of the power company - which had been privatized in 1993. Prime Minister Barrow gave several reasons to appropriate the electric company including: B.E.L. is in grave financial difficulties and is unable to pay or service its debts and is otherwise unable to secure the continuity of electricity supply and notice to revoke license has been given by the P.U.C. Barrow also told the House he wanted to avert the disruption of electricity supply. In laying out the case for the re-nationalization Prime Minister Barrow told the House that the acquisition of BEL is in the public interest because the company simply cannot pay its debts. The Prime Minister said his Government has been assisting as much as was possible by pre-paying its monthly electricity Bill to the tune of two million dollars per month, up to September of this year. But he says the lifeline under the current ownership is at an end, hence the reason for the government take over. Prime Minister also assured that the hundreds of employees of the company need not to worry about their jobs as Government has no intentions to interfere with the employment of anyone who voluntarily chooses to stay with the company. The Prime Minister says he has gotten assurances from union representatives that the workers of BEL are confident that they can make the company successful under the new ownership. NO SHIRT! NO SHOES! NO PROBLEM! but... it's better that bz is in charge,,,,. !